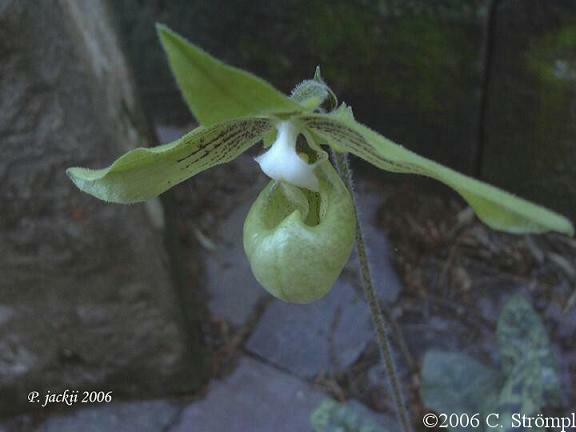 Although originally thought to be a distinct taxon, it has since been determined that Paph. malipoense var. hiepii is an aberrant form of Paph. malipoense var. jackii. 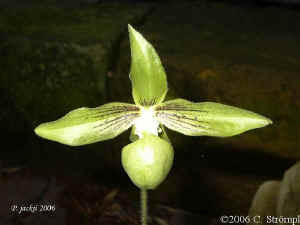 The original colony probably represented a group of Paph. malipoense var. jackii that was growing in suboptimal conditions. Carsten Strömpl was kind enough to allow me to use his pictures of his Paph. malipoense var. jackii to demonstrate the effects that culture can have on blooms. 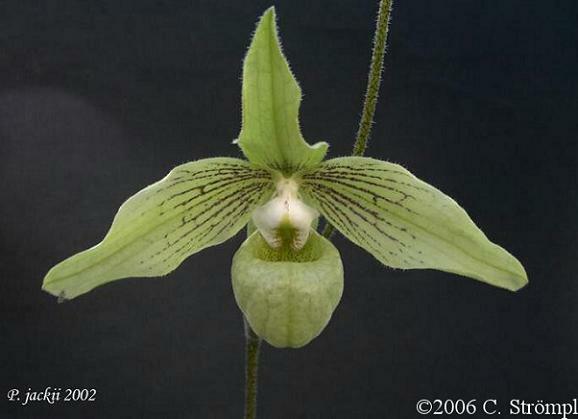 Etymology: named for its discoverer, N.T Hiep, who found it in 1995 while doing field work for the AOS funded project, "Exploration of Endangered Vietnamese Paphiopedilums"
Averyanov, L.V. 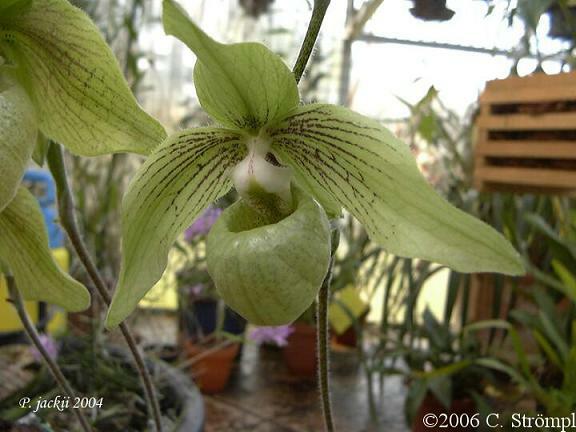 "Paphiopedilum hiepii, A New Species from Vietnam." 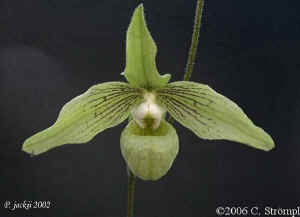 Orchids 67, no. 3 (Mar 1998): 260-63.